My desire for involvement in social justice was borne out of the socially challenging context that I found myself in during my philosophy studies at Arrupe College in Harare, where I was from 2006 to 2010. In those years, Zimbabwe sunk to its lowest politically and economically. Politically, intolerance by the ruling party towards supporters of opposition parties was deepening, and political violence was recurrent. Economically, the country was experiencing run-away hyper-inflation that set a new world record. There was shortage of basic goods in shops, and when they were available their prices simply prevented the majority poor from accessing them, especially given that many had been rendered jobless by the closure of several companies. Poverty thrived. At Arrupe College, however, the situation was slightly different. Although we were certainly affected by the national economic situation, we were relatively insulated from its sting. Whilst we had access to most of what we needed, many ordinary people remained stuck in poverty. I found myself caught up in these two different worlds. It was a situation that created some spiritual dissonance within me, where the life that I lived in common with others did not seem to attest to the social context we were in. I developed a strong desire to offer my own response to the social situation in the country. However, I found myself incapacitated in many ways to fulfil this desire. It is then that I thought perhaps the best I could do in that moment was to equip myself with the intellectual tools needed for me to understand the social situation more critically and systematically. I thus took an interest in courses and electives that were of relevance to that end. Concurrently, I began to envision myself as providing that response I so desired to offer in the form of social justice advocacy and developmental work for my regency. I therefore attempted to shape my academic experience in a way that would prepare me for what I thought could be my calling within the Society, and more immediately, what I hoped would be my apostolate for regency. 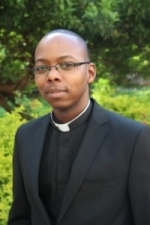 I began my regency in July 2010 and was working at the Jesuit Centre for Theological Reflection (JCTR) an organisation of the Zambia-Malawi Province. The organisation is involved in research, education, advocacy and consultancy on issues of economic, social and political justice. General Congregation 32 defined our mission today as that of a service of faith and the promotion of justice, a conception that has been affirmed by subsequent general congregations. My regency at JCTR afforded me the opportunity to partake in a more direct way in this mission of promoting social justice. Today, I continue contributing to that mission in my capacity as Director of Silveira House Jesuit Social Justice and Development Centre in Harare. Silveira House was founded in 1964 to promote social justice through programmes and activities that promote community development, peace-building, just laws and bi-laws that promote local and national development, and through imparting technical, vocational and entrepreneurship skills to young men and women as means of providing them with employment and sustainable sources of livelihood. Why is it that there is enough food for everyone in the world yet so many people go hungry? How is it that we have so many resources yet so many live in such poverty? How is that there is so much work to be done, yet there are few employment opportunities? Why are political leaders not moved by the poverty they see around them? How can they be challenged to have more encompassing interests rather than the narrow interests they serve. These are some of the many questions that I ponder. These questions, simple as they are, are key to the work I do. My work at Silveira House for the past one and a half years has been devoted to trying to remedy what little I can about the inequalities pervading this country. Disillusionment does set in because of the slow progress of change we experience. It is discouraging dealing with intransigent political leaders who have the power to change certain policies and help improve people's lives, yet lack the will to do so. I occasionally doubt the real impact of our work and the work of similar organisations, especially considering the effort we all put and the millions of dollars spent every year on development work. Such close encounters with political power, the power in which resides the ability to bring about needed change, yet a power resistant to doing so in the face of human suffering, impacts on one's interior life and reconfigures certain faith beliefs, as it does in me at times. But hope does triumph over present disenchantments. The small victories wrought by our projects provides that spark of hope, such as when families are able to send their children to school, to buy medicine and to repair their simple houses because of the income-generating projects we would have helped them start. This helps me see the value of our work and gives me the strength to continue.